I am rather fond of food. My laptop and my dunlap (where my waist used to be) can testify, as can my file of business cards. Because wherever I go to eat, I meet the most fascinating people. It might be the farmer who grows the food, the chef who cooks it, or the new friend across the table who simply savors it with me. This story is about someone who tells the tale (and tail) of it. Last year I took two quick trips to Baton Rouge, Louisiana. Neither one was food-related at the outset, but both became such before it was over – I just can’t help it. On the second trip I ended up meeting Mr. Bellue, who showed me every corner of Bellue’s Fine Cajun Cuisine. As we wound up our impromptu tour, there was someone waiting to see him, someone with an appointment. Mr. Bellue knew I was a food writer of sorts, so he introduced me to the writer who was waiting: Sam Irwin. Some writers set out with a clean slate when writing a book, then do lots of research, eventually becoming something of an expert on the subject. Another way to do it is to live smack dab in the middle of the subject matter, and just tell your story. Sam has done both. The five-hundred footnotes in this 138-page book prove that everything was not from memory – his homework was done. But given that his family was in the thick of crawfish country before the Cajun crustacean became as famous as it is today, he certainly has the authority of presence as well. Sam’s grandfather, Joe Amy, was a pioneer in the crawfish business, becoming one of the first to get a permit to peel and sell crawfish meat. As an adolescent Sam witnessed the exponential growth of the industry, later working for Amy’s Fisheries in just about every possible role. His parents were also involved the industry as well as the Breaux Bridge Crawfish Festival. And his sisters either reigned as Crawfish Queen or served in her court. 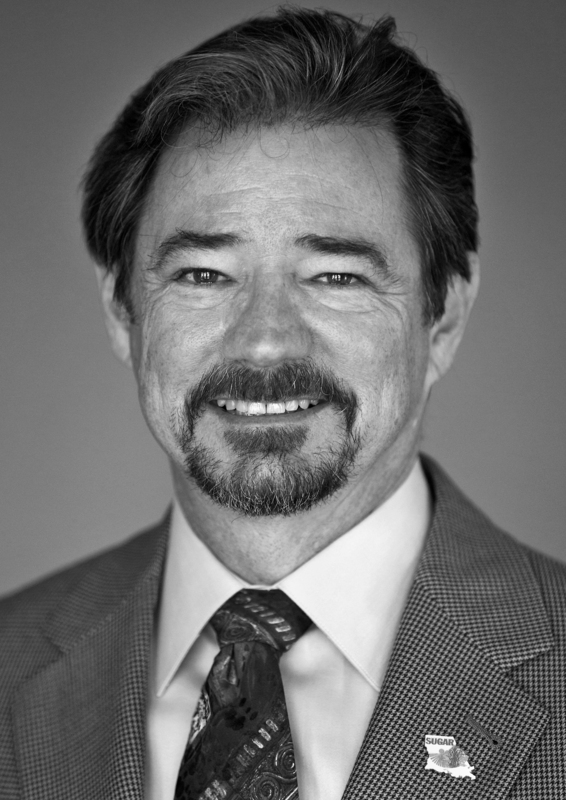 Later he was public relations advisor to the Louisiana Crawfish Promotion and Research Board. As Sam says, his “ties to the crawfish industry are deep…as a crawfish hole.” I think we can trust him. 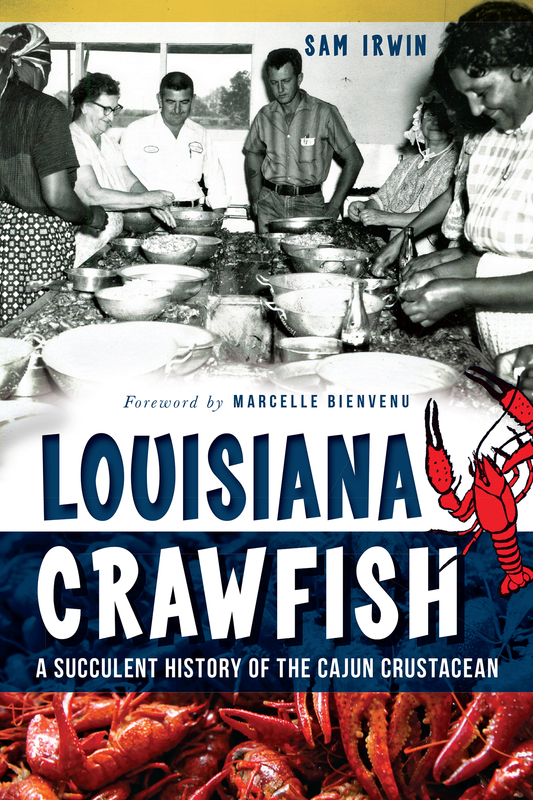 As I read the book, I was reminded of my own experience with crawfish, or crawdads as I called them as a kid. At the bottom of the big hill in our neighborhood, there was a creek where we would catch them. In that day the idea of taking some home to boil with corn and potatoes would have seemed pretty far-fetched. Even now, though I can certainly enjoy a few pounds of the boiled variety, I prefer the tail to be peeled by someone else, then deep-fried, soaked in bisque or tossed in etouffee. After reading this book, I realize how much work is required to get them in that form. It takes about seven or more pounds of whole crawfish to get a pound of meat. Mercy. Or should I say Merci? As the legend goes, the Acadians in Nova Scotia were good neighbors of the lobster. After re-settling in south Louisiana (where they became known as Cajuns), the lobsters missed them and went looking. The journey across the continent was so hard that they shrunk in size and became known as crawfish. These tasty crustaceans have been a culinary delight for a long time and in distant lands. Native Americans probably taught the Cajuns how to eat them. Queen Elizabeth Tudor tried them at least once (though my guess is that they had too much flavor to catch on in Britain.) For a time, Swedes and other Europeans only allowed nobles to eat them. But it was the Cajuns that put them on the map. As you read Sam’s account, two streams of thought flow throughout. On one claw, he gives the history of crustacean consumption by telling of the harvest methods, the foray into farming, and the development of marketing efforts. Crawfish can be fickle: one year there might be millions of pounds harvested, and the next hundreds of thousands or less. This year was a great example of that – here in north Mississippi we had to wait longer than usual for our first boil because of some cold weather that kept the little buggers from growing fast enough. If you are an avid fan of sucking the head and pinching the tail, this book is for you. If, like me, you don’t mind paying a little extra per pound to have someone else do all that, there are plenty of classic recipes included for you. Like the crawfish, it’s short and savory. Eat this book.